Gare Heavy Diesel is a one-stop shop for all your heavy vehicle and equipment needs. We provide a mobile breakdown and repair service, hydraulic hoses and component rebuilds. 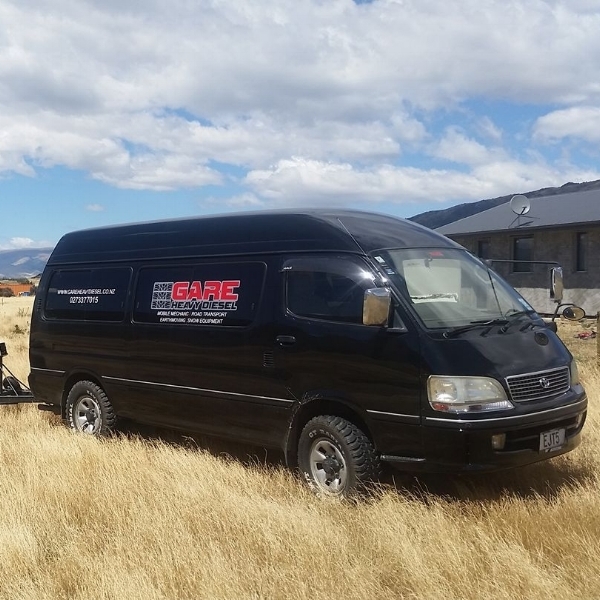 Gare Heavy Diesel is fully equipped to service all your commercial vehicle & machinery needs. Alan Gare is a qualified Diesel Technician with over 10 years industry experience. We offer breakdown support and full mechanical repair services for trucks of all makes and models, and earth moving/ construction equipment. Our goal is to get you and your valuable assets back working as efficiently and fast as possible. And the best part of it is, we offer a mobile service so we can come to you! Full mechanical repairs, including engine, transmission and driveline repairs. Auto-electrical diagnosis and repairs for trucks, trailers & equipment. Maintenance of customers’ service records. Hydraulic hoses supply & fit. Our mobile Diesel Mechanic service van is fully equipped to attend to your needs at your location of choice. Our coverage includes but is not limited Motueka, Tasman, Golden Bay, Wakefield, Richmond & Nelson.